Q: WHAT IS FRONTIER IRONWORKS INC.? A: Frontier Ironworks Inc. is a family owned and operated business that has been building high-end, custom design, lighting and furnishings for over 20 years. We pride ourselves on offering the highest level of customer service and building a relationship with our customers that lasts a lifetime. We have built our business on referrals from happy customers that believe in us and see how much we love what we do. Frontier Ironworks, Inc. is licensed, insured and UL Approved. Q: HOW DID FRONTIER COME ABOUT? A: Chris George started Frontier Ironworks Inc. with his brothers in a modest garage where they started cultivating their artistic abilities at a young age. “It started as a hobby that we were pretty good at, but we never dreamed it would turn into the business that we have today” says owner Chris George. Focusing on true collaboration with clients and designers, Frontier has built custom commission pieces for celebrities, heads of state, casinos, and universities, such as the University of Wyoming and University of Southern California. No project is too large for this family of artists at Frontier’s manufacturing facility in Buffalo, Wyoming. Q: HOW DO FRONTIER’S PRODUCTS COMPARE TO OTHER PRODUCTS? A: Frontier Ironworks is unique in that it is one of the few lighting companies today that works directly with clients to produce customized fixtures that suit individual tastes. Q: WHERE IS FRONTIER IRONWORKS LOCATED? A: Frontier Ironworks is located in Buffalo, Wyoming at the base of the Bighorn Mountains where our creativity is inspired by everything around us. Q: WHERE CAN I SEE A FRONTIER PIECE IN PERSON? A: Frontier Ironworks works with many designers and retailers throughout the United States, Canada, and in fact around the world. Please call us for a list of retailers in your area. Q: WHERE ARE OUR FIXTURES AND FURNISHINGS MADE? 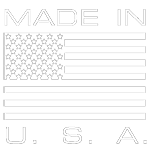 A: All of our products are handmade at our facility in Buffalo, Wyoming from start to finish. We do all our own wiring, upholstery, woodwork, metal fabrication, and installation of glass, mica, acrylic and rawhide diffusers. A: Absolutely. This is your fixture and furniture! We will work with you to create pieces that are uniquely your own. We are able to create pieces that are branded and tailored for the project, for instance, not only have we created ironwork that have custom sizes and designs, but we have integrated furniture, lamps, and decorative pieces that artfully incorporate the clients’ initials, meaningful symbols, and clients’ logos. A: Usual lead time on Frontier Ironwork Inc. projects is 6-8 weeks from the time the deposit is received and production begins. Custom frames and larger pieces can take 8-10 weeks.